Once upon a time, I have a very best friend who absolutely adores me. Her name is Rylie and she likes to copy me and do all the things that I like to do (the perfect pal). 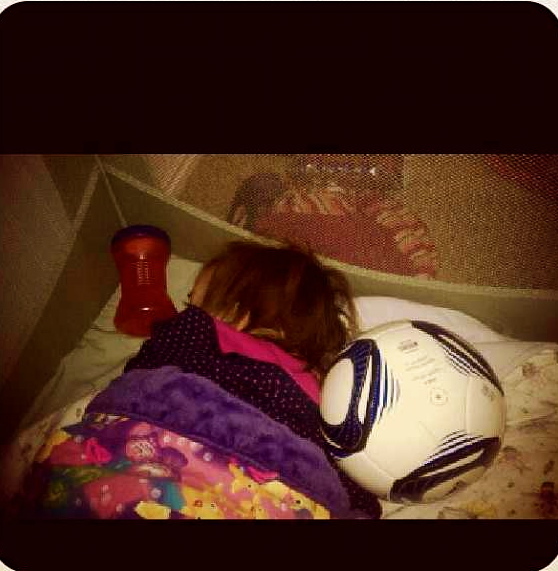 The other day, I took her to the mall to purchase her very first soccer ball. 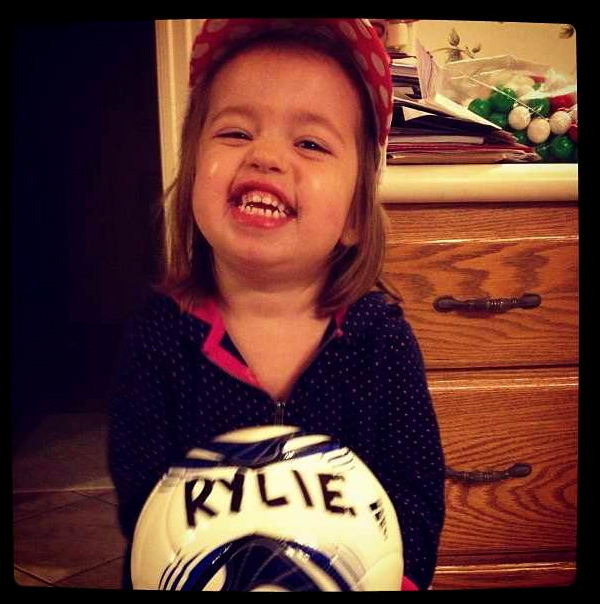 She LOVES playing soccer with me, so I got her a ball all for herself. She got all excited when I told her we could write her name on it and it would be all hers! It seriously was the cutest thing I have ever seen. I need more friends like Rylie. This is her right after we got it and I wrote her name on it. When she went home, she loved it so much, so wanted to sleep next to it. I'm tellin ya, we were meant to be best friends. Every time I see her now (even when she is sick, she prevails through), she gets her ball and we practice passing and dribbling for hours. Best 2 year old baller I have ever seen!